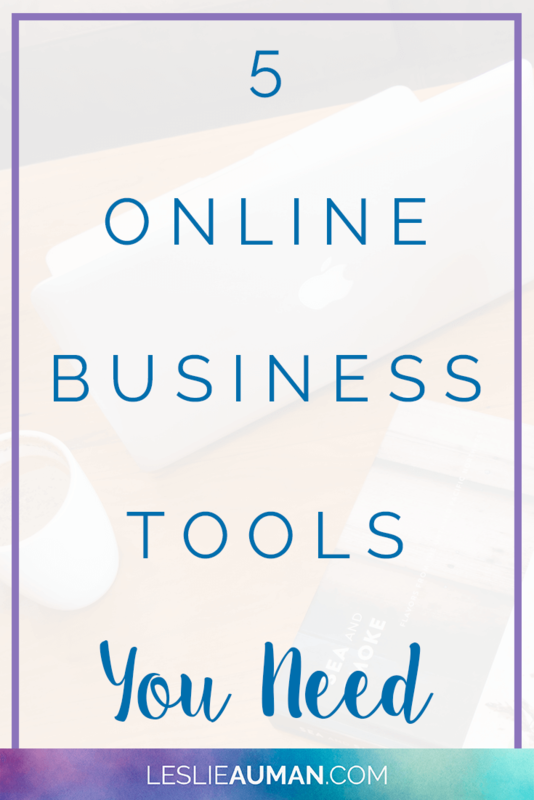 For this post, I’m sharing five online business tools I think every business owner needs…or, at the very least, should consider using. 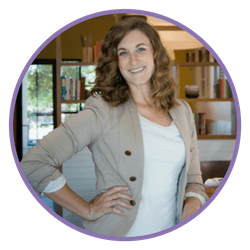 😉 These are tools that help your business run smoothly from an administrative standpoint, so I think they’re mostly applicable to small business owners and solopreneurs in any field. Without further ado, here they are! For starters, G Suite* used to be known as Google Apps for Work, so you may know it by that name. It’s an online business tool that allows you to utilize your business email address (for example, support@leslieauman.com) with the Gmail interface and all of the Google apps. So, although you’re using an email address with your website’s domain name, you still get allllllll the useful, functional, and easy-to-use apps that Google is known for while using the simple and familiar Gmail interface. G Suite* is super affordable at only $5/month/email address, and look at all these awesome things you’re getting with your subscription to help you run your business more efficiently for that low price! I don’t use Google Drive often for file storage, but I do sometimes use it with clients to share files back and forth. However, I’ve backed up all of my blog posts and website pages in Google Drive by making a folder for each post or page, putting the HTML of the post or page in a Google Doc, and uploading all graphics for the post or page to its folder. Of course, there are many more apps that Google offers, but these are the ones I use most often, most on a daily basis. I’m sure you already know what QuickBooks is, since it’s been around forever, but as a refresher: QuickBooks is an online or desktop accounting and bookkeeping tool. It’s generally considered the most robust tool of its kind and is used by businesses of all sizes. You can buy QuickBooks Online so that you can access it anywhere, but it is a monthly subscription, or you can buy the desktop version for a one-time fee. I do all of my invoicing, income tracking, expense tracking, bookkeeping, and other accounting tasks in QuickBooks Online. I create my invoices right in the software and send them to my clients; I prefer cards as the payment method, because I got tired of waiting 7-10 days to actually get my payments in my bank account just for the sake of the free ACH transfer. I have both my business checking and savings accounts synced, and every Friday, I update the latest transactions in the banking tab and categorize them appropriately (or ask my accountant for guidance when I need it). On a monthly basis, I reconcile both bank accounts. I also run a Profit & Loss report every so often to see how things are looking from a spending perspective and to see how I’m looking for the year overall. I sometimes compare to the previous year to see if I’m growing in comparison to where I was at this time last year. When I file taxes, my accountant uses QuickBooks Online to run all the reports we need to make everything super easy (or so she says – not my realm of expertise!). Asana is a free task management tool, although they do have a paid version if you want to upgrade which, of course, has more features than the free version. However, I’ve always used the free version and have no complaints and don’t feel like I’m missing out on anything! I will be honest here: Asana has a learning curve! I almost gave up Asana back when I started using it, because to me, at least, it was not intuitive at all. On top of that, I couldn’t find any free tutorials or courses that taught how to use it…at that time. I’ve since come across Market Beautifully’s free Asana course, which goes over some basics of Asana. The videos in this free course total about 20 minutes, but then she has a paid course called Asana for the Entrepreneur that goes even more in-depth. I haven’t purchased Asana for the Entrepreneur, but I think I will at some point in the future (maybe?). But! Back to how I use Asana: I use it like my client work to-do list, basically. You can create projects in Asana, and then within projects, you can create “Sections” and “Tasks.” So, I’ll often create Sections for clients, such as Tailwind, Proofreading and Editing, DMCA Notices, and so on, and then I’ll create more specific Tasks under those Section headings. You can assign the Tasks to someone (most likely yourself, although you can add other people to the free version of Asana, which I didn’t know until one of my clients added me to hers! ), and then you can set due dates. For Tasks that need to recur every so often, you can set them to repeat – daily, weekly, and monthly are some of the options. Within the Task itself, you also have space to write a description, so if you have particular steps you need to take for something (for example, steps to clean up an old blog post) or if you have specific requirements from a client that you need to keep in mind (for example, what percentage of the client’s pins versus the percentage of other people’s pins they want to you to schedule in Tailwind), then you can type that into the description area, and it will always be there every time that Task repeats. Some other quick things you can do in Asana: attach files for file sharing between you and a client or a team member, add Subtasks, write comments, and like comments or updates to a Task, like if a client uploads a file or writes you a comment about something. I know there’s a ton more to learn about Asana and how you can best use it, but this is the extent of my knowledge…for now! Freedom is a website and app blocker. When you put in certain websites and apps that you don’t want to be able to access during a period of time so that you can focus on your work, you can turn on a block session, and then you won’t be able to access them for the duration of the block session! Download the software to your computer (desktop or laptop or both) and/or install the app on your smartphone (iOS and Android). Add your devices – computer, laptop, and/or smartphone. Check out their default blocklists to see what websites/apps are already on there that you tend to frequent and get distracted with; they have “Social” and “Media” blocklists. Select any already on their default blocklist(s). Add any additional websites you have issues with visiting while working. You can add these to their default blocklists, or you can create a new blocklist. For example, I’ve added a blog I tend to check for new posts almost every day and BuzzFeed (those dumb quizzes, they get me every time!). Select which of your blocklists you want blocked for the session. Select which of your devices you want your blocklists activated on for the session. Calculate how many minutes you need your block to run. It doesn’t take hours and minutes, just minutes, so if you need the block to run for two-and-a-half hours, for example, then you’d enter 150 minutes. 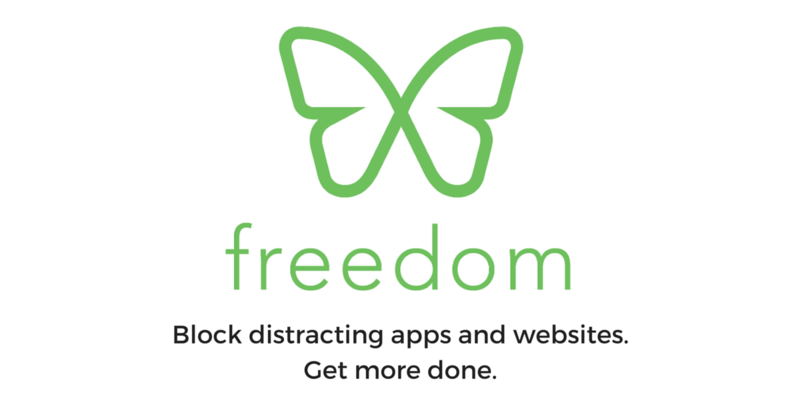 I will admit that when I first signed up for Freedom* and tried to use it on my iPhone (back in late 2016/early 2017), it screwed up my apps. I can’t remember for sure now, since it was so long ago, but I think there were one or two apps that just stopped working, and I couldn’t figure out why, but it was because of the Freedom* app. There was some kind of glitch that even though the block session ended, those apps wouldn’t work. So, I deleted the app off my iPhone and deleted my iPhone as a device in my account, and those apps were working just fine again all of the sudden! They may have fixed it by now. I haven’t tried installing it on my Google Pixel. The best part, though? Freedom* is really affordable. Their normal price is $29 for the year, but I signed up with a 40% off discount code that, for some reason, continued to be applied to my account for another year, so I got a bonus discount year. It’s not free, but it is super cheap! Like QuickBooks up above, you probably already know what Dropbox is, but as a refresher: Dropbox is a cloud-based storage app. It’s a great way to back up your files in lieu of an external hard drive, and it comes in handy for file sharing with other people. For a long time, I just had the free version of Dropbox, which I think includes storage up to 5 GB. Then, one of my clients sent me a huge folder, and I was forced to upgrade to Dropbox Pro, which gives you 1 TB of storage space. I’ve since started uploading a lot of the documents and things from my computer to use it as backup (although I need to be better about that), so I’ve continued to subscribe to Dropbox Pro annually. I mainly use it as simple file storage, but I do have shared folders with several clients where, mainly, we share graphics for blog posts and social media, for example. I also have a folder for my business finances, which I’ve shared with my accountant so that she can access all of my business entity documents, tax documents, bank statements, and receipts and invoices as needed. I know they’ve rolled out some new features to try to compete, I think, with G Suite, but I don’t use them. And there you have it! 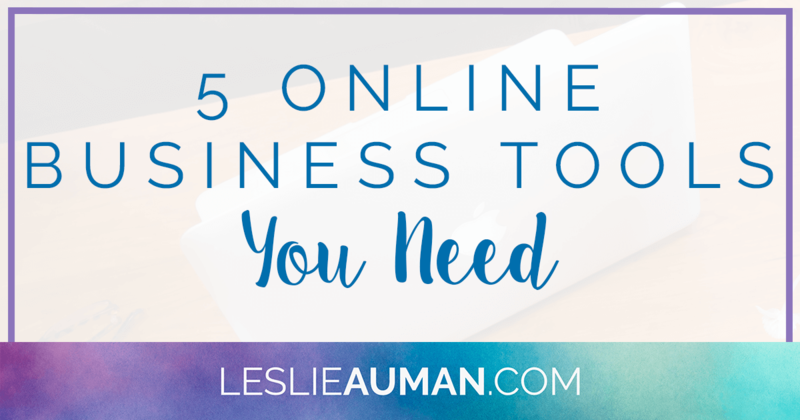 These are my personal top five online business tools that I think every business owner, no matter your field or business type, will benefit from using. What other online business tools would you add to this list? Let me know in the comments! * Leslie Auman is a participant in referral or affiliate programs for these subscription services, tools, and/or apps.